Need a barbell and a set of bumper plates? Here’s your chance to win them! 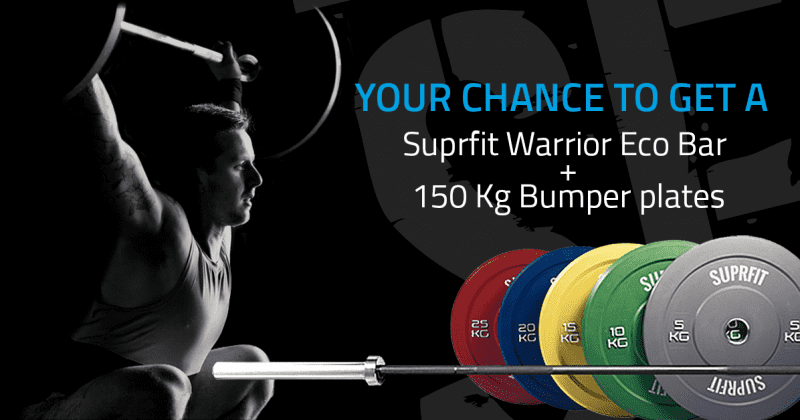 Suprfit is giving away a Warrior Eco Bar together with 150 kg of bumper plates and two additional prizes. SuprfitEurope.eu aims at the special needs and requirements of athletes and box owners. The shop offers a wide range of training equipment, gear, accessories and apparel from numerous manufacturers. Additionally, Suprfit also offers support and advice on topics such as opening or enhancing a box and provides all the required equipment, from flooring to rigs and racks, out of one hand. How to win a barbell and a set of plates? The Suprfit Eco Warrior Bar is the perfect compromise between quality and price. It’s designed to meet the standards of the International Weightlifting Federation (IWF). The Eco Warrior Suprfit Bar (Bushing) has a black shaft with markings for weightlifting and powerlifting as well as silver sleeves. The Eco Warrior Bar is perfect for beginners up to experienced athletes training weightlifting, power lifting and also functional training. This Olympic barbell is perfect for your favorite exercises from deadlifts to all Olympic lifts and other exercises usually included in Crossfit workouts. 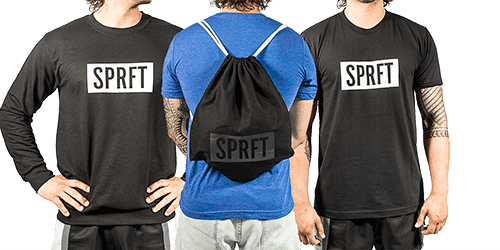 Update your Crossfit wardrobe with the Suprfit clothing line: SPRFT sackpack, comfortable training t-shirt and sweater. 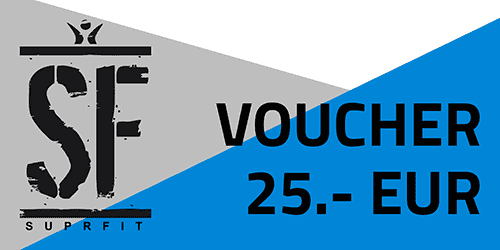 Stack on the latest Crossfit gear with this Suprfit voucher: shopping-code for the Suprfit shop in value of 25 €. Click on the button below and answer one simple question: how heavy is the men’s Olympic barbell? Also, don’t forget to invite your friends, coaches and box owners to let them know about the amazing prizes they can win!